Learn more about the mobility access options we offer! We now offer sales, service, and repair on wheelchairs and scooters! 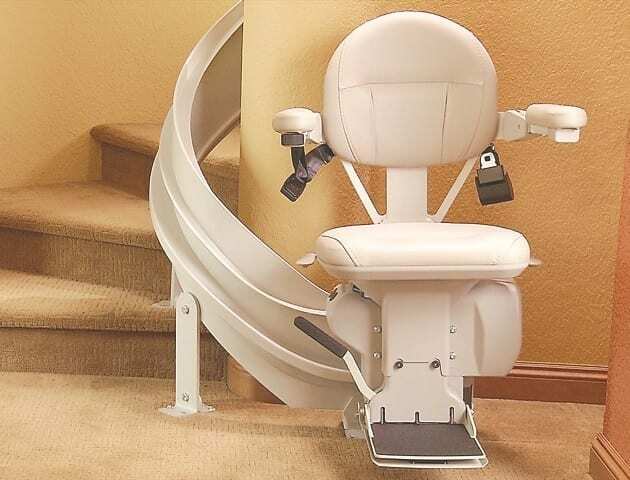 Stairlifts, or sometimes referred to as chairlifts, are perfect for multi-level houses with household members who have difficulty climbing stairs due to an accident, illness or age. With a stairlift installed in your home you or your loved one will be able to transport yourself upstairs and downstairs with comfort and ease! Vertical platform lifts (or VPLs) are used primarily by a person with physical disabilities who require the use of wheelchairs and scooters to overcome differences in height from one level of their home to the next. Our selection of vertical lifts provides our customers with the accessibility they need to live full, functional lives. If you use a mobility device, ramps will allow you to access all levels of your life. Ramps ensure that you are able to navigate terrain that would otherwise be off-limits because of stairs, curbs, inclines, and doorways. 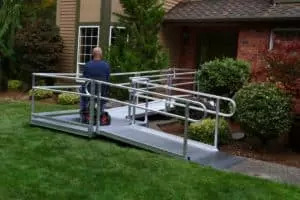 With modular ramp systems and a wide variety of portable ramps, you can make your home more accessible. Learn about all of the products that we provide for accessible freedom inside your home.